Add a little spooky fun into afternoon crafting with a sweet and simple slinky skeleton. Keep it classic and cool or add color and sparkle for some Dios De Los Muertos delights. Kids of all ages will enjoy creating this friendly bag o’ bones, especially because it adds some awesome decoration to any home! 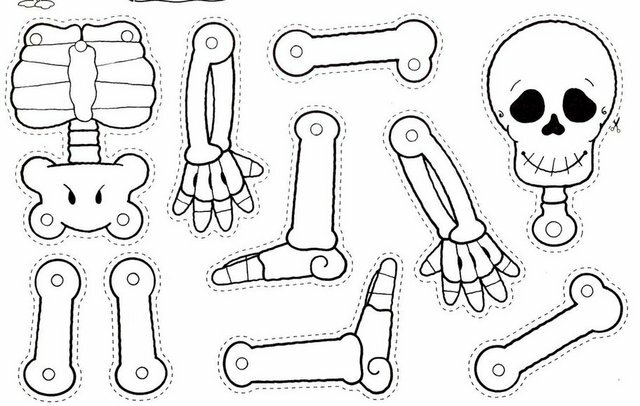 There are a lot of great and free, downloadable skeleton templates floating around so take the time to look for one the kids love, or, check out this happy lil' guy. His smile and big bones make for easy coloring and decorating, he most definitely won over the little artist at our home. How do you and the kiddos get crafty for the spooky season?